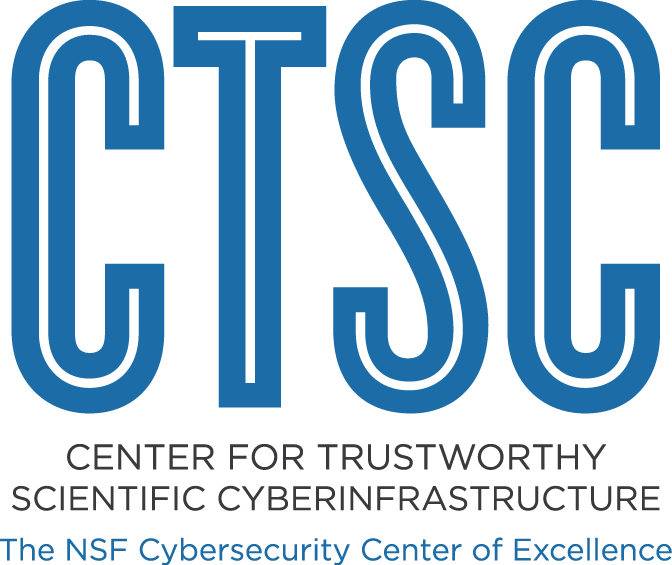 The Center for Trustworthy Scientific Cyberinfrastructure (CTSC) announces the Cybersecurity Center of Excellence (CCOE)Webinar Series to fulfill their mission of providing readily available cybersecurity services tailored to the NSF science community. The webinars are recorded and will be linked on YouTube and on this page for later viewing. Each webinar includes time for questions from attendees, so please join the live webinar if you are able. They use Adobe Connect to conduct the webinars (test your connection, Adobe add-in not required for participants). Participant lines are muted. They provide a chat box for participant questions. Upcoming topics are communicated on their blog. If you have questions or comments after the webinar, please join their discussion mailing list. To submit topics or request to present, contact them here. As the National Science Foundation Cybersecurity Center of Excellence, CTSC draws on expertise from multiple internationally recognized institutions, including Indiana University Pervasive Technology Institute, the University of Illinois, the University of Wisconsin-Madison, and the Pittsburgh Supercomputing Center. Drawing on this expertise, CTSC collaborates with NSF-funded research organizations to focus on addressing the unique cybersecurity challenges faced by such entities. In addition to our leadership team, a world-class CTSC Advisory Committee adds its experience and a critical eye to the center's strategic decision-making.